RV Warranties are the best way to control the unexpected and rising costs of RV repairs, but how do you find the right policy for you? 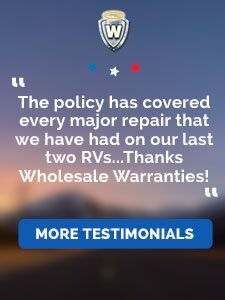 Wholesale Warranties only works with extended RV warranties with a proven history of positive customer service and easy claims processing to ensure customers are taken care of out on the road. What sets Wholesale Warranties apart? You will work directly with highly-trained RV Warranty Specialists to find the right policy for you. Access to internal Claims Department who will answer all questions on claims & coverage, and act as an added layer of support at the time of breakdown. Wholesale Warranties has been happy to partner with major organizations and influencers. We are proud affiliates of the FMCA, full-time gurus RV-Dreams, RVer Insurance Exchange, RVReviews.net and more! Learn more about our RV partners here, and check out our exclusive endorsement from the Escapees RV Club on their website! 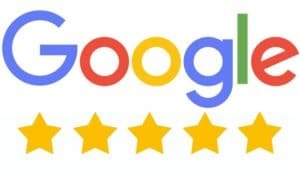 But don’t just take our word for it, click an icon below to see our reviews from RVers like you! Ready to see what reliable RV warranty coverage might cost for you?